Use the browser profiles you added to open browser sessions. Click on the browser icon to open a browser session. Once the browser opens, you will see Multiloginapp welcome screen. 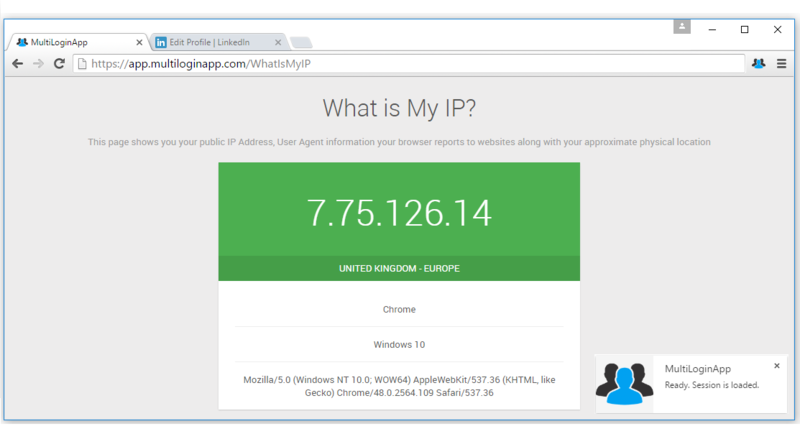 It will show your current proxy IP, location, and User-agent data. You are now ready to use the browser to go to a specific website you want to log in, for example, LinkedIn, Pinterest, Gmail, etc. Make sure to read the next section of the documentation to learn how to properly close browser sessions.